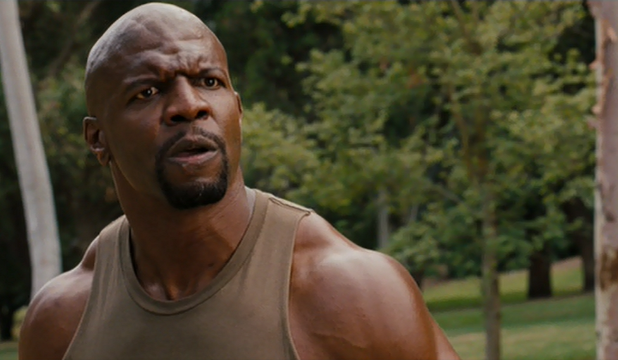 Terry Crews is a unique type of actor — one who is able to synthesize comedy with peak physical condition. It is a delicate balance, mastered by a precious few. The former NFL player has unfortunately been mostly relegated to bit parts and small cameos roles, but has gotten increasing burn lately. Rightfully so, Crews is a gifted comic actor. 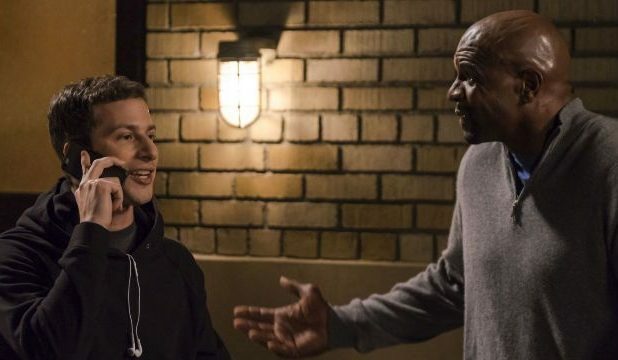 For this reason he has found consistent work with Adam Sandler and his Happy Madison Productions crew as well as the action franchise The Expendables and a handful of starring sitcom roles — most recently the cop comedy Brooklyn Nine-Nine. 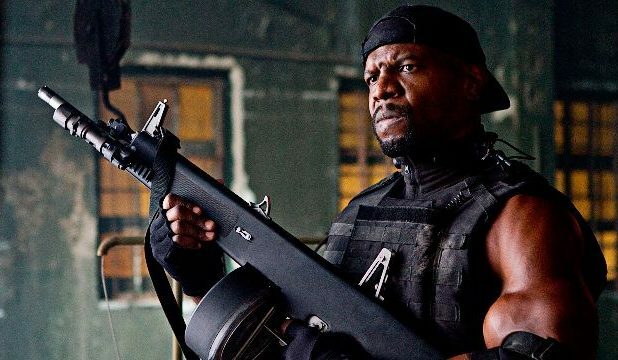 Crews’s star will hopefully continue to rise — but for now, here are his 10 best roles so far. Everybody Hates Chris is a sitcom based on famous comedian Chris Rock’s adolescence growing up in 1980s Brooklyn, New York. Crews plays his intense and frugal but ultimately caring father Julius who works hard to support his family. It is a very funny show with a bit of heart to it. Purchase now on Amazon for $24.96. In Mike Judge’s dystopian satire Idiocracy, the world’s smartest people have died off as a result of voluntarily refusing to have children. Humanity’s average intelligence has plummeted as a result, and modern-day knucklehead Joe Bauers (Luke Wilson) is now one of the smartest people in this future world. 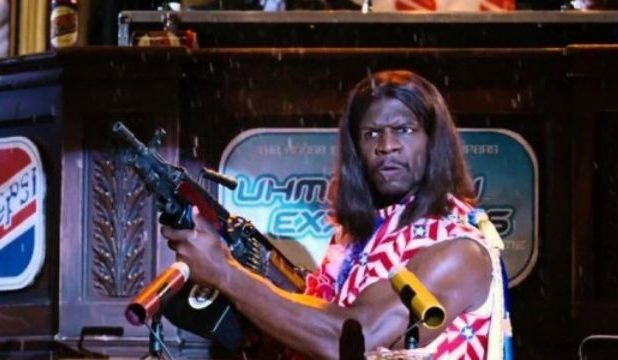 He resolves to help Crews’ President Dwayne Elizondo Mountain Dew Herbert Camacho fix the nation’s economy and crop production. Idiocracy is a cleverly stupid type of parody audiences have come to expect from Judge. Purchase now on Amazon for $11.99. In Boots Riley’s directorial debut, Lakeith Stanfield (Atlanta, Get Out) stars as a struggling telemarketer named Cassius Green. The world in which he lives is similar but not quite the same as ours. 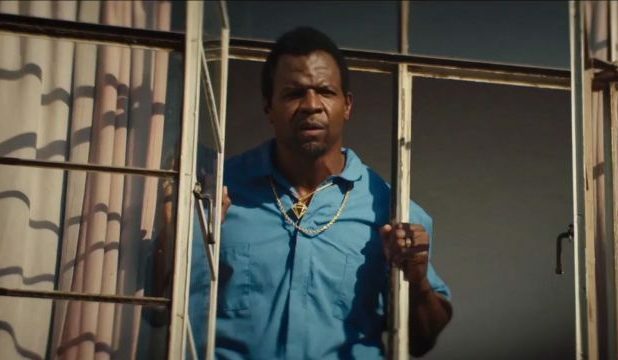 Crews plays Cassius’s uncle Sergio, who lets him live in his garage. Riley’s film was lauded as clever, unique and inventive. Purchase now on Amazon for $14.96. The cult sitcom about the corrupt, wealthy and dysfunctional Bluth family returned after eight years off the air in 2013. 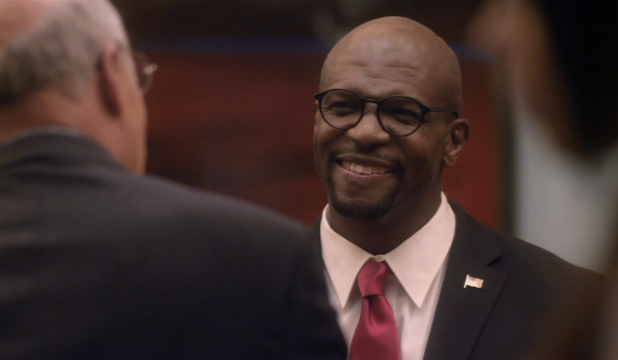 In the first season of the show’s revival, Crews played Herbert Love, a right-wing politician — based on 2012 Republican primary candidate Herman Cain — who is pulled into the Bluth family’s orbit. He fits in well in Mitch Hurwitz’s unique sitcom. Purchase now on Amazon for $33.97. 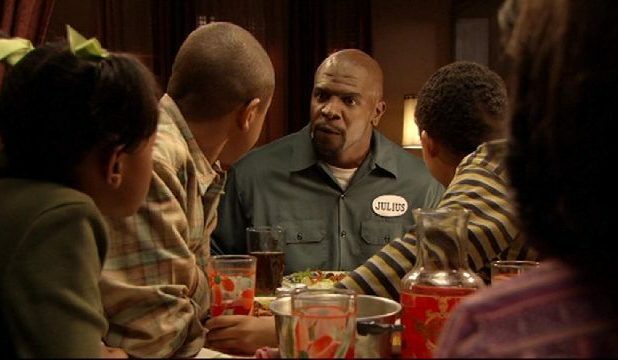 In the popular sitcom Brooklyn Nine-Nine, Crews plays the integral role of Sergeant Detective Terry Jeffords. In spite of his imposing frame, Jeffords is a soft-hearted individual who, upon fathering two daughters, is more aware of his mortality. As a result, he is more sheepish about the grittier aspects of police work. He is a fan-favorite character, delivering comedy and heart alike. Purchase now on Amazon for $89.97. Crews rounds out the cast of The Expendables franchise, the ensemble action film series which stars some of the biggest names in the genre — including Bruce Willis, Jason Statham, and Sylvester Stallone. Crews plays Hale Caesar, weapons specialist and mercenary-for-hire. He and the rest of the team take on a number of increasingly ludicrous set-pieces throughout the films. Purchase now on Amazon for $20.33. In Adam Sandler’s remake of the film The Longest Yard, his character NFL player Paul Crewe is incarcerated for drunk driving and is coerced by the warden into building a football team of inmates to take on his team of guards. Crews plays “Cheeseburger” Eddy. Eddy, one of the recruited prisoners. Crew’s intense but goofy performance provides a wellspring of comedy to the irreverent film. Purchase now on Amazon for $13.99. When all of the best Control operatives’ identities are leaked by their nemesis KAOS, they have to be benched in favor of Steve Carell’s well-meaning but clumsy analyst Maxwell Smart. Crews is Agent 91, one of the no-longer-secret agents. Agent 91 struggles to adjust from the life of a special agent to that of a pencil-pusher. It makes for great comedy. Purchase now on Amazon for $12.99. 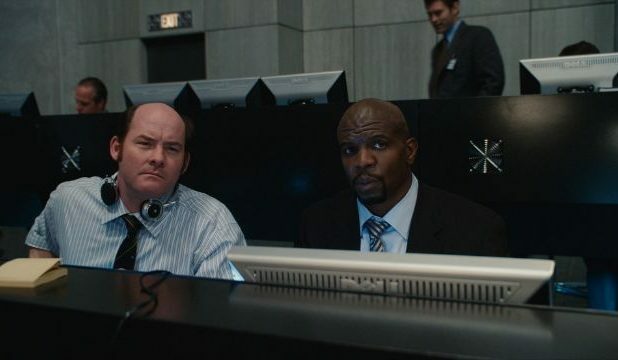 One of his many aforementioned cameo roles, Crews has only a minute or so of screen time in the comedy smash-hit Bridesmaids. 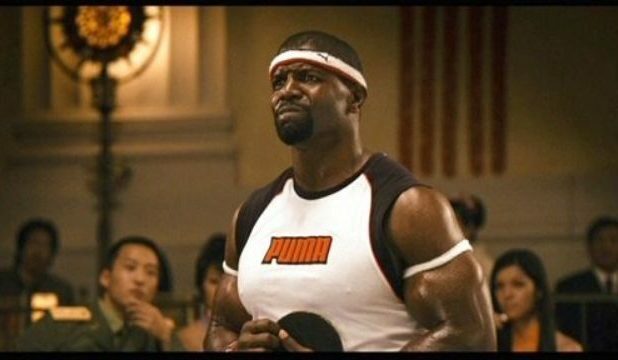 He plays Rodney, a park workout instructor who is feared by the main characters (Kristen Wiig and Maya Rudolph) for his intense style of motivation. It is exemplary of what Crews is often expected to do — which is wring a few minutes of strong comedy before the film moves on to other subjects. Purchase now on Amazon for $9.99. Balls of Fury is a goofy, irreverent ping pong-based spoof of Karate Kid and similar films. Crews’ character Freddy “Fingers” Wilson adds an extra dose of comedy as one of the protagonist (Dan Fogler)’s opponents. His most notable contribution to the film is his ability to make is pectorals independently shuffle — a skill which has since become a trademark of Crews. We are a participant in the Amazon Services LLC Associates Program, an affiliate advertising program designed to provide a means to earn fees by linking to Amazon.com and affiliated sites.